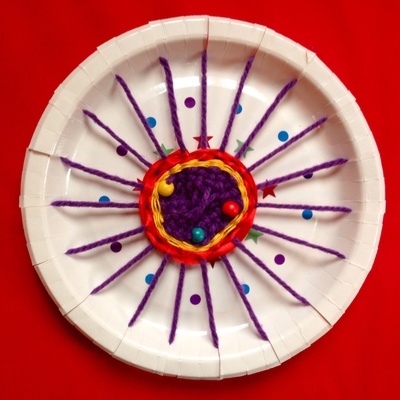 We saw this fantastic paper plate weaving tutorial on by Cassie Stephens and decided to make our own version using wool, thick thread, ribbon and beads. 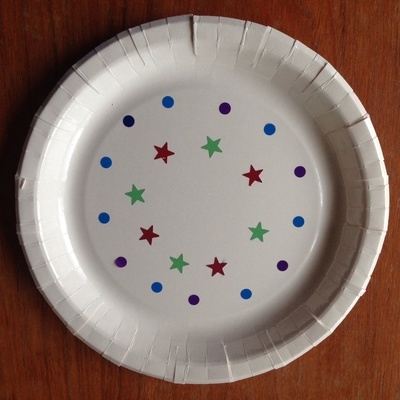 We decorated our paper plate 'loom' with sticky stars and sticky dots, but you could also try painting it or leave it plain. 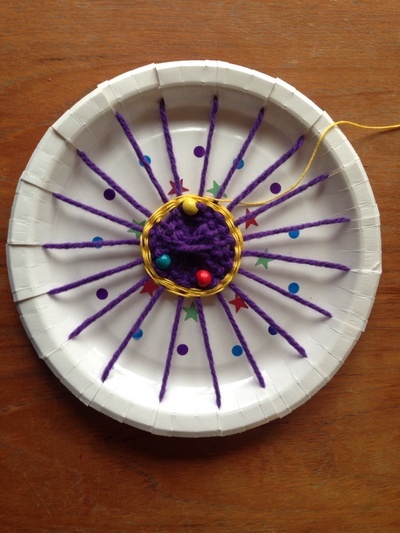 Weaving yarn - e.g, wool, thick thread, ribbon etc. 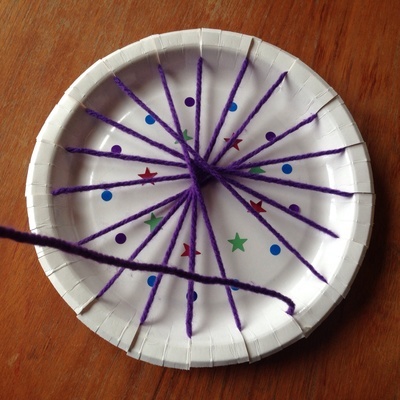 Cut an odd number of slots around the rim of a thick paper plate to make the loom. We cut 19 slots. 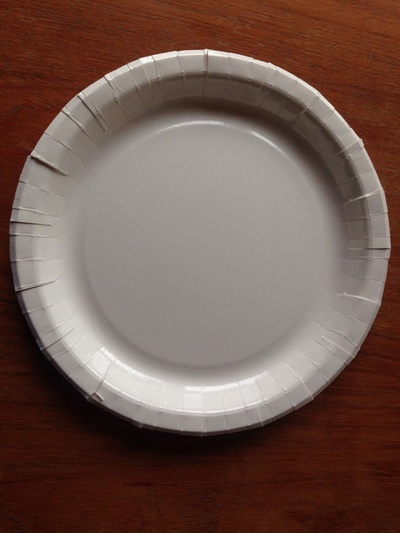 Decorate the paper plate. We used sticky stars and dots. 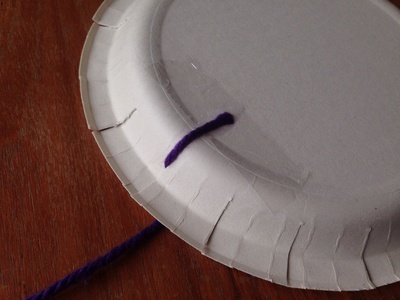 Slide a piece of wool through one of the slots and stick the end of the wool to the back of the paper plate with tape. Take the other end of the wool and place across the front of the plate, pushing the end through a slot on the far side. We then had 9 empty slots on one side of the wool and 8 empty slots on the other. Place the wool across the plate and feed back through an empty slot (adjacent to the one already taken) to the back of the plate (see photo). Take the wool across the back passing the two slots already filled to the next adjacent free slot, then pull through the slot to the front of the loom. Place the wool across the plate again and feed through an empty slot (adjacent to the one already filled). Keep doing this around the plate until all the slots are filled and you have a spider web effect on the front. With the last slot, pull the end of the wool through the empty slot to the front of the plate loom. This end becomes the piece you start weaving with. 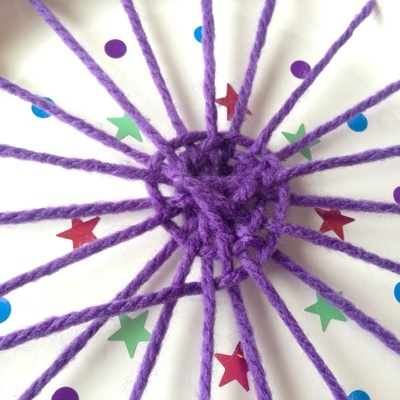 Start in the middle of the 'spider web' and start weaving in a circle - over then under then over then under each of the spokes, pulling the thread firmly to get a neat spiral. 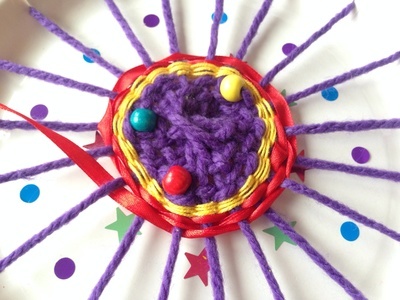 Keep going around the 'web' creating your weaving. 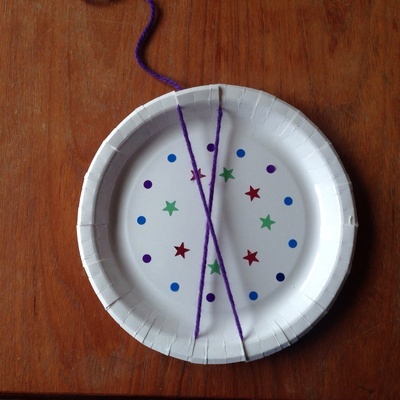 Tie off the thread and start a new colour or type of yarn by tying on a new piece. We liked the effect with ribbon. Thin wool also looked pretty but it took a lot longer to create the weaving - I'd recommend sticking to chunkier yarns for younger kids as you get quicker results. 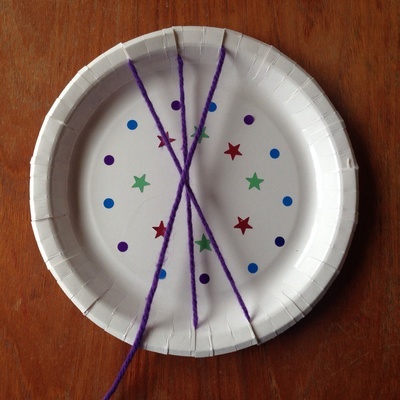 Tie the end of the weaving yarn to one of the spokes in a knot when you're finished. I think the end weaving looks great displayed on the plate. 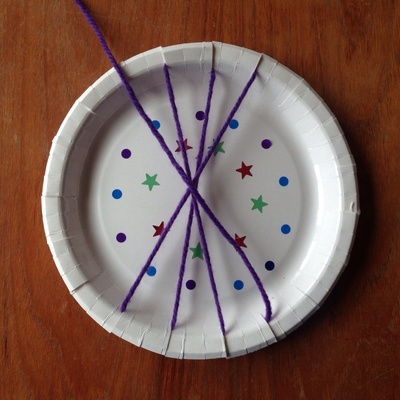 However you could also cut the 'spokes' and knot the ends to create a circular mat without the paper plate. 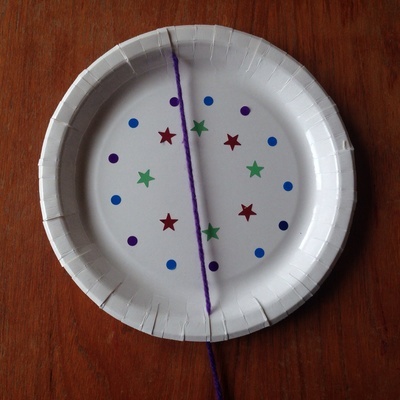 Great idea - it would work well for a homemade placemat if you did cut it off the plate.